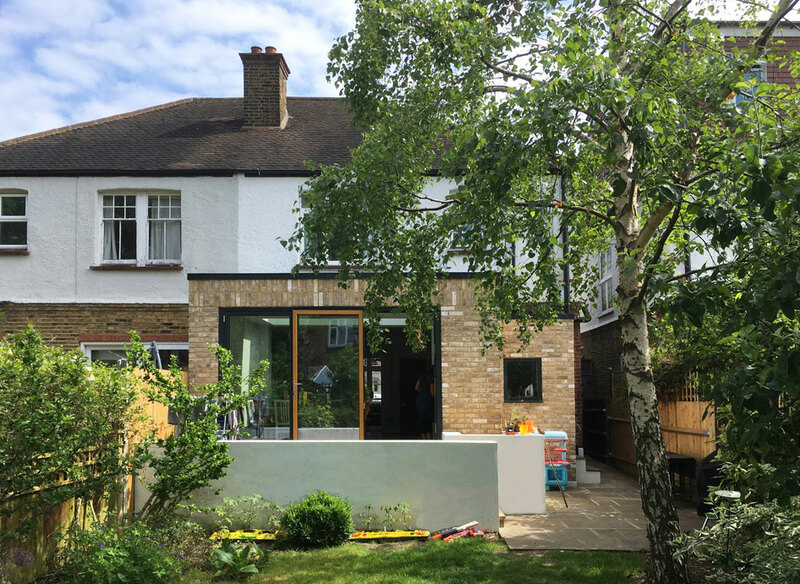 This family approached us to extend their 1930’s house in Streatham Hill to provide more downstairs space for their three sporty sons and help the flow of space into the garden which was at a lower level and so felt a bit cut off from the house. 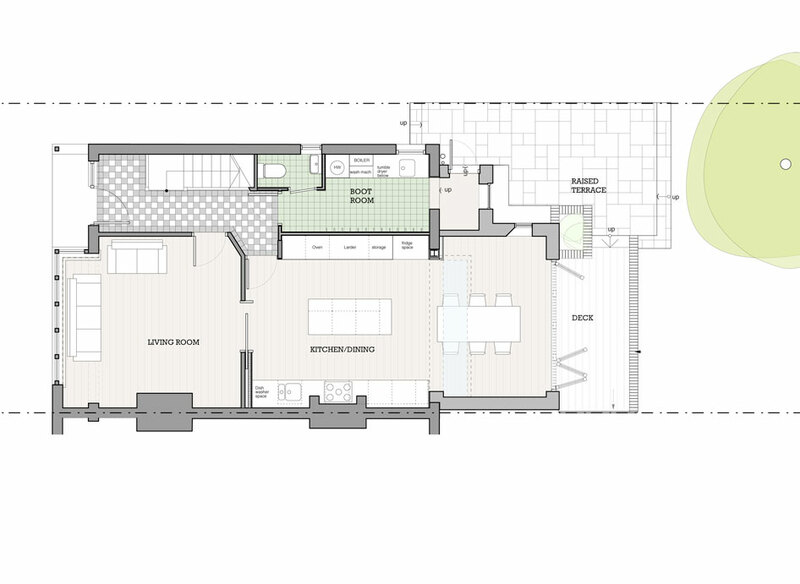 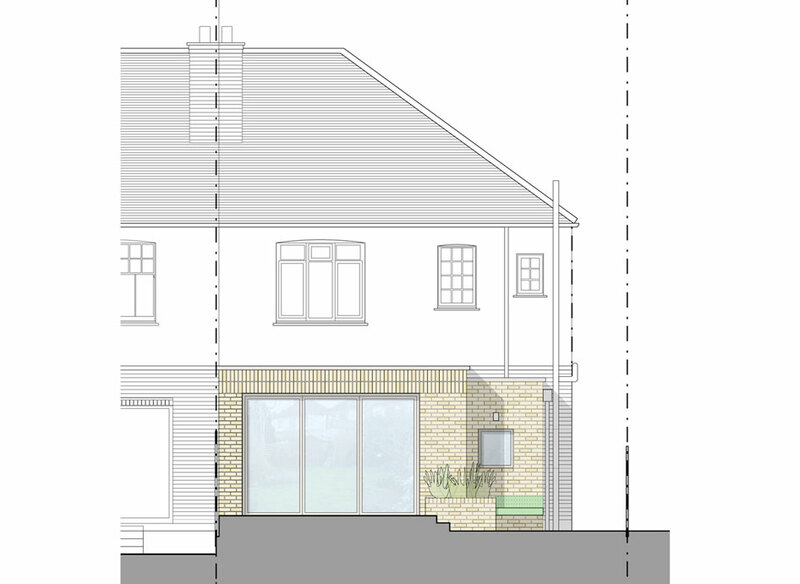 By reordering the inside space and extending into the garden their home now has a light filled open-plan kitchen dining room and a boot room for muddy shoes and equipment with independent access from the rear. 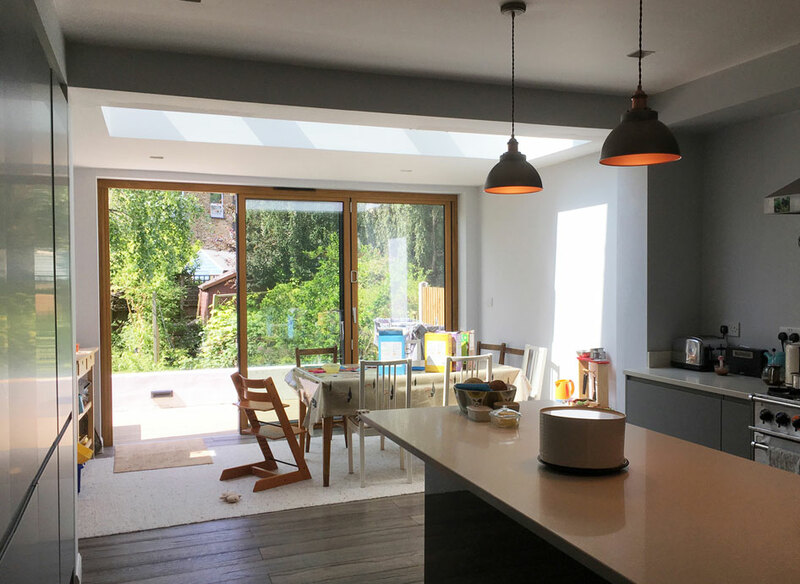 Bifold doors and seamless connection to the outside raised deck allows the dining table to be pulled out on sunny days for parties and family gatherings.